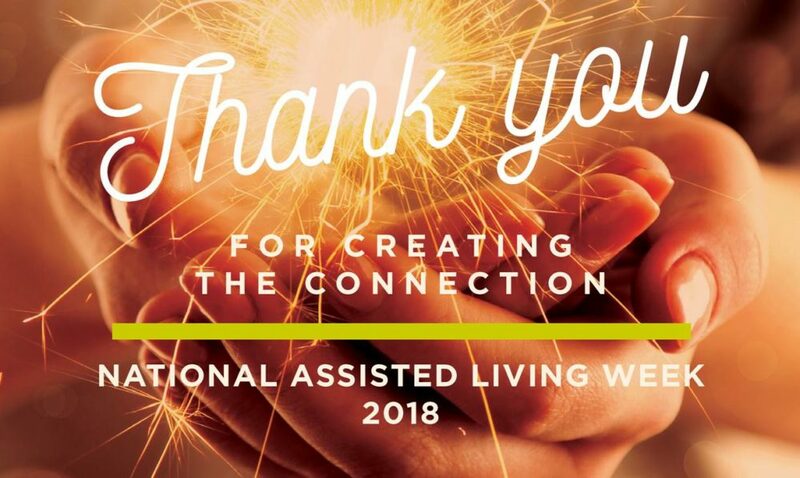 Country Meadows is observing National Assisted Living Week, Sept. 9-15, by “capturing the connection” between our assisted living/personal care residents and our caregivers who support these seniors in meeting their daily needs. At all 11 of our retirement communities, our co-workers will be taking photos depicting the special relationship between our residents and our care professionals. We will then display the photos in a framed poster in each community’s lobby. In this way, we are celebrating the vision of Country Meadows Retirement Communities, which is “to be the connection between care and purpose to make lives better.” Co-workers at Country Meadows work with seniors and their families to improve the lives of older persons in Pennsylvania and Maryland. Also at this time, we are offering our free guide, “Navigating the Maze of Senior Living Options” to help seniors and family members decide on the retirement lifestyle option most appropriate for their senior loved one. Family members can download the guide here now. The trained caregivers at assisted living and personal care homes provide residents with personalized support for daily activities such as dressing; washing and bathing; dental, skin and nail care; shaving; laundry; housekeeping and medication management. At Country Meadows, assisted living and personal care residents live in roomy apartments or comfortable rooms, with access to transportation, daily meals, laundry and housekeeping services, 24-hour access to staff support and no buy-in. Residents and their family members appreciate the privacy that is central to assisted living and personal care at Country Meadows. To guarantee privacy and dignity to our seniors, we hire experienced staff who enjoy working with older persons and are trained to help them with their individual needs. Knowing that seniors wish to remain as independent as possible in caring for their own needs, our co-workers focus on respect and sensitivity in all communications and interactions. What’s the difference between assisted living and personal care? Assisted living and personal care differ a bit in their levels of care and in Pennsylvania, they are licensed separately. While both offer housing, meals and assistance with medications and personal care tasks, an assisted living facility also provides some skilled health care services. In Maryland, both levels of care are covered by the same licensure and regulations. Many retirement communities have personal care homes that provide most assisted living services but have decided not to pursue the costlier licensure of an assisted living facility in Pennsylvania. In addition, Medicaid does not increase funding to cover the additional costs. Country Meadows delivers personal care in Pennsylvania at nine campuses, but provides assisted living services at its newest senior care location, Forks in Easton, and assisted living in Frederick, Maryland, as well. We invite you to contact us to learn more about Country Meadows in Pennsylvania and Maryland and visit any of our assisted living and personal care facilities, which offer personalized services, security, comfort and a rich community life. i am looking for an apartment or a small patio home. i have a medium size friendly dog. i would like a sm. kitchen ,to cook some meals, i want to rent, not to purchase a new home. one or two bedrooms, and the monthly cost. i am very independent,at 77 years young. Thank you for answering our questions we had emailed you directly about. Our team will be sending you the requested information today. Thanks again for your interest. Thank you so much for your kind remarks. Our staff IS amazing and is all about the residents which is evident in their care. We hope you are well.